(ARA) - Whether your annual earnings range well into six figures or are on the more modest end of national salary averages, you know you'll probably need credit to buy a home. While you likely know how important credit is to your home-buying plans, you may not be aware of the truth behind some common credit myths. Myth: If your bills are paid and you've never defaulted on a loan, mortgage or credit card bill, you don't need to worry about your credit report or credit score. Truth: Many factors influence your credit score, and payment history is just one of them. When calculating your score, credit bureaus also consider length of credit history, types of credit used and ratio of credit available to credit used. Even if your payment history is good, scoring lower on one of the other factors could lower your overall credit score. Myth: As long as you know your credit score, you don't need to look at your credit report before applying for a mortgage. Truth: A lender will certainly look at your credit report, so you should know what's on it before they do. Errors may occur on a credit report, and if there are any negative marks on your credit history you'll want to know about them - and address them - before a lender asks. Myth: Checking your credit score is a hassle, and it can't really help you manage your credit in the long run. Truth: Websites like FreeCreditScore.com make it easy to check your credit score. Keep in mind that lenders use a variety of scores when evaluating credit worthiness, and the one you obtain online will vary from what a lender might see. Still, any score can be a valuable educational tool that helps you better understand how lenders view your credit. FreeCreditScore.com's Credit Score Center can help you understand how your score is calculated, which factors impact it and the best time to apply for credit. Myth: If your credit is not perfect, you won't be able to get a mortgage. Truth: Lenders are more strict than they've been in the past and a good credit score and report can certainly make you a more appealing prospect to them. However, a score in the lower range doesn't mean you can't get a mortgage at all. But a higher score is likely to net you more options - and better terms. Myth: When you apply for a mortgage, the lender could share your personal information (including your credit score and history) with other companies. Truth: The law limits how banks and other financial institutions can use your information and to whom they can disclose it. If you're not sure how a lender may use your information, ask. Depending on the situation, you may be able to limit disclosure of your information. Home prices and interest rates are still low across the country, making it a good time to buy a house, real estate experts say. Knowing the truth behind some common credit myths - and understanding your own credit history and score - can help you take advantage of the many opportunities still available for home buyers. (ARA) - If you're thinking about creating or upgrading an outdoor living space, you're probably considering what materials to use for your project. You'll likely weigh concerns of cost and quality, durability and beauty before arriving at a final decision. If an outdoor shower is part of your plan, you'll probably consider ceramic tile. But many homeowners are finding new ways to embrace ceramic tile in their outdoor living spaces, choosing the time-proven material for uses that traditionally have called for wood, stone or even concrete. "Tile can be used in a multitude of outdoor living applications and not just in decor," reports Patti Fasan, ceramic tile consultant for Tile of Spain, the umbrella brand representing the 150-plus ceramic tile manufacturers of Spain. "Today's tile serves practical purposes with its superior property advantages - ideal for pools and other outdoor settings." Numerous advantages draw homeowners and designers to choose ceramic tile. You may already know that ceramic tile is beautiful and durable, but it also inhibits mold, mildew and fungus - problems that can arise in a damp environment. It withstands pool chemicals and direct sunlight without fading. It's also slip-resistant, making walking safer in areas where swimmers will be leaving a pool. New products designed for use around pools also mean homeowners have more design options. Floresta by Tile of Spain branded manufacturer Rosa Gres offers wood texture designed for outdoor spaces such as pool surrounds, terraces and spas. Available in six colors, the line also offers special trim pieces such as grating that can be used over a drainage channel. Mosaics are always a natural choice for pools and hot tubs. But design for these outdoor elements are no longer limited to the standard blue and white tile. Spanish manufacturers such as Onix are pushing the design envelope using dynamic color, pattern and texture, offering homeowners many new choices for creating their backyard oasis. Filter Floor, a raised surface solution by Natucer, eliminates the need for a traditional drain. A very thin open joint allows rain water to bypass by the tile surface, preventing stagnant water or mildew problems. Great for pool areas, it's also useful on terraces and balconies. Additionally, because of its raised surface, it can be installed over an uneven surface. While ceramic tile's appeal for pool areas may be obvious, it's also useful in other outdoor settings such as sunshades. The LifeArq Collection by Natucer produces the Bamboo line of narrow porcelain columns in a variety of colors. When grouped together, the tiles can create a sunshade or other landscaping element. The company's Ivy line can also be used to create a partially shaded wall or outdoor enclosure. Ceramic tile has long been a material of choice for indoor living spaces. Now, thanks to recent design innovations, homeowners can embrace tile's beauty and durability in a variety of outdoor applications as well. Thinking about buying or selling? 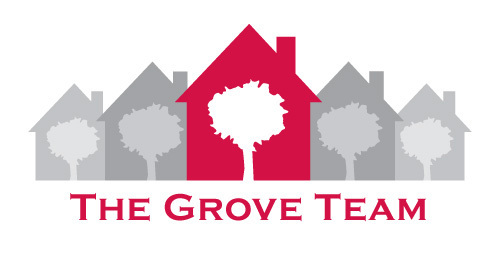 Call the Grove Team, (817) 337-0000 or find us online, www.groveteam.com. Rumors are circulating on the Internet about a new 4% tax applied to all real estate sales beginning in 2013. While there is a Medicare tax going into effect in 2013 that could apply to some real estate sales, the criteria that must be met for the tax to be collected would be fairly narrow. According to the National Association of Realtors and factcheck.org. First, the new tax would apply to the sale of a primary residence only if the seller's adjusted gross income is more than $200,000 for a single person and $250,000 for a married couple. Second, if the sellers meet the income criterion, the new tax would apply only to capital gains from the sale if they exceed $250,000 for individuals and $500,000 for a married couple. Finally, if both of those criteria are met, then the 3.8% tax would apply only to the profits above the $250,000/$500,000 limit. Of course, for details concerning how the new law might apply to you, consult your tax professional. This stunning home is as welcoming as it is beautiful. Gleaming wood floors extend through the living area and bedrooms. The living room is open to the kitchen and dining area and looks out over the private backyard and sparkling pool. Upgrades and well appointed features are found throughout. Call the Grove Team, Keller Williams Realty today for your private tour! I am proud to announce that the City of Keller has achieved an Insurance Services Office (ISO) Community Public Protection Classification (PPC) rating of 2. This is a rating given to the City by ISO after reviewing the City's firefighting capabilities, which include the Fire Department, Dispatch Operations and Water Operations of individual communities. This rating, according to statistics on the ISO website, indicates that Keller will now rank in the top 1.3% of communities nationwide (648 out of 48,324 communities), and the top 5.2% of Texas communities (125 out of 2,2423 communities) that have achieved an ISO PPC rating of two or better. Previously, the City's rating was a Class 4, but will now be elevated to the Class 2 rating effective November 1, 2011 by ISO and the Texas Department of Insurance. What does this mean to our citizens, businesses and property owners? Insurance companies utilize the ISO PPC classes in establishing premiums for both commercial and residential property policies, with the better (lower) the PPC rating (1-10 with 1 being best), the lower the insurance rate and cost of insurance. In his report to the City, consultant, Mr. Mike Pietsch, of Mike Piestsch P.E. Consulting Service, Inc. stated, "If an ISO 2 were attained, the commercial property owners and residential property owners within five road miles of a Keller Fire Station and within 1,000 feet of a fire hydrant would save a possible 11% and 10% respectively. Achievement of this improved rating is a tremendous benefit to renters, businesses, and property owners. This significant improvement in the City's rating was a direct result of concerted efforts by many City employees and departments (Fire, Dispatch, Water and Information Technology), in meeting and exceeding the City's core values. Download the Free REALTOR.com® iPhone Real Estate App for your iPhone! Find more homes for sale on your iPhone or iPod touch with the REALTOR.com® Real Estate App, now featuring your personal My Real Estate dedicated screen that includes Saved Listings and Searches. 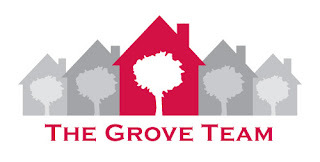 Then, call the Grove Team, Keller Williams to schedule your private tours of your top picks! Reach us direct, (817) 337-0000 or find us online, www.groveteam.com. BACK ON THE MARKET and PRICE REDUCED!! Located on a quiet cul-de-sac in Rustic Woods Addition, this home is nothing short of amazing. Take a tour with our video, then call the Grove Team, Keller Willams (817) 337-0000 to schedule your private tour today!